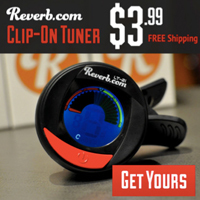 Published on August 7, 2009 in Bands/Artists, Music and Reviews. 0 Comments Tags: Blu-Ray, Christopher Guest, David St. Hubbins, Derek Smalls, dvd, Harry Shearer, Les Paul, Michael McKean, Nigel Tufnel, review, Spinal Tap, Stratocaster, This is Spinal Tap. “This is Spinal Tap” is one of those movies that people either love or are largely disinterested in. Anyone who is a scholar of or takes an active interest in the history of rock bands dating back to the 60’s are usually fans of this “Rockumentary” by director Marti DiBergi (Rob Reiner) that pokes fun at a lot of stories and mythology of the big rock artists in the story of a washed out metal band who is desperately trying to make a comeback against seeming disinterest and plain bad luck. “This is Spinal Tap” was released to theaters in 1984. In this time of ultra-mega-smash blockbusters the box office statistics are pretty small– The opening weekend of March 4, 1984 had the movie only playing on 3 screens netting only $30,000. It seemed to have done a slow spread through that spring growing to maximum of 206 screens by the end of April, and then dropping off until July 1st. Total net for “This is Spinal Tap” was $4.5 Million that year. In retrospect it was the promotion that Christopher Guest, Michael McKean and Harry Shearer did by making appearances on places like MTV and the fact that they wrote and performed the songs that cemented Spinal Tap the band and catapulted “This is Spinal Tap” to the cult status that it is today. Spinal Tap became a “real” band because it was a real band– the story is fiction, but how different is that from many bands that have a legend about them? The Wikipedia article on Spinal Tap is a humorous one in that it maintains both fictional and actual account. Under band members we get a list of the drummers and their untimely demise as well as actual people who performed or recorded with Spinal Tap. In a similar fashion we are offered a list of fictional and actual records recorded by the band. 2009 is the 25th anniversary of “This is Spinal Tap” and on July 28th it was re-issued on Blu-Ray Disc by MGM. The Blu-Ray edition of the movie is based largely on the excellent DVD version from 2000 that added over an hour of bonus material in the form of outtakes, real and fictional promotional material, TV appearances and an interview “Catching Up with Marti DeBergi.” It is worth sitting through the movie commentary which appropriately has Guest, McKean and Shearer in character. The Blu-Ray edition of “This is Spinal Tap” is a 2-disc release with one Blu-Ray Disc and a bonus DVD . The Blu-Ray Disc is essentially the same content as the original 2000 DVD with new menus and the movie remastered to glorious high-definition. The bonus DVD includes the “Stonehenge” performance at Wembley Stadium as part of the Live Earth concerts and the National Geographic interview with Nigel Tufnel regarding his theories of Stonehenge. Pretty funny. I only wish they would have been able to include the rest of the Live Earth show that included a performance of “Big Bottom” with a number of guest bass players including Kirk Hammett and James Hetfield from Metallica and Adam Yauch (M.C.A) of the Beastie Boys. It appears that the bonus material wasn’t remastered to high-definition, but I’m not sure that it would have benefitted much from remastering since most of it is made to look like old television appearances. Comparing the DVD of the movie to the Blu-Ray of the movie certainly shows that the Blu-Ray is providing a much sharper and brighter version of the film. Although the movie was only shot on standard 80’s filmstock, and since it was in a documentary style it isn’t like the cinematography was geared for breathtaking wide shots of landscape or special effects. The audio portion seems to be the same Dolby Digital version from the DVD. But, it sounds fantastic! The live performances in the film sound great. A word of warning– I found myself having to ride the volume button on the remote as the live performances are dramatically louder than most of the movie dialog. A couple of times my wife had to ask me to turn the movie down (sorry, Honey!). From a purely guitar-head perspective I’m really impressed with the guitars the guys are playing in the movie. McKean is typically seen playing a white Gibson SG with humbuckers or a Gibson Les Paul Standard in Red Sunburst and at one point playing a goldtop Les Paul with P90’s. Christopher Guest is seen with a large collection of classic guitars in the “This One Goes to 11” scene which includes a beautiful three humbucker black Les Paul with gold hardware and a Shoreline Gold Fender Stratocaster. In a continuity problem, the black Les Paul is the guitar that Nigel Tufnel grabs for the “reunion” scene. If he was out of the band, I wouldn’t assume that his guitar would have been with the band– but whatever, my geek is showing. “This is Spinal Tap” is one of those movies that has defined how we look at rock music and bands today. As long as there are bands touring and fans that follow them, this movie will continue to be watched. Every day I expect another generation of music fans and musicians are watching the movie for the first time. David St. Hubbins says in the movie, “It’s a fine line between stupid and clever” which seems to be a good way to sum up why “This is Spinal Tap” is the classic film it is. 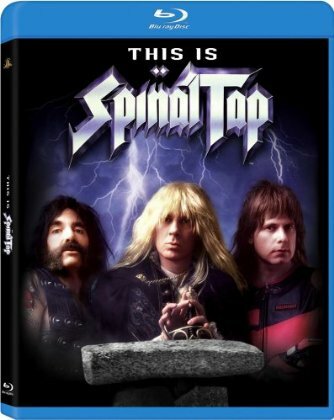 “This is Spinal Tap” Blu-Ray Edition on MGM/20th Century Fox Home Entertainment is out now with a suggested retail price of $34.99 U.S. / $37.99 Canada. The Time to play b-sides archives for the david-st-hubbins tag.